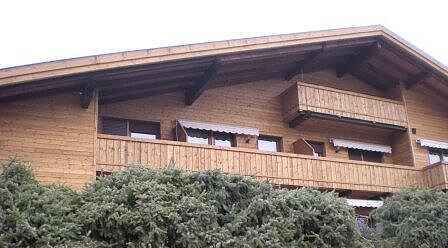 Private apartment on second floor in nice small apartment house building in the middle of Valdaora - Olang (Mittelolang) 40qm: Bedroom with double bed, kitchen, living room with dining table for four persons and a sofa bed for two people. Balcony overlooking the church and the Dolomites. Ski / bike storage in the basement and a washer and dryer. Private parking outside the gate. The apartment is in the center of the small city Mittelolang, close to the church, so it is near to everything! Shops, restaurants and bars are on walking distance from the apartment.